Product Details - Material - Made of durable polyester , Suitable - All Breeds Dogs, Color - Blue, Use - Booklet with tips and tricks for designing optimum training. an fitness programme. Product Information - Trixie Dog Activity Agility Basic Tunnel adds some advance level of activity for your dog. The dog enters from one end and runs through and comes out from another end completing the task. This flexible fabric tunnel is easy to set up and can have multiple variations of construction. 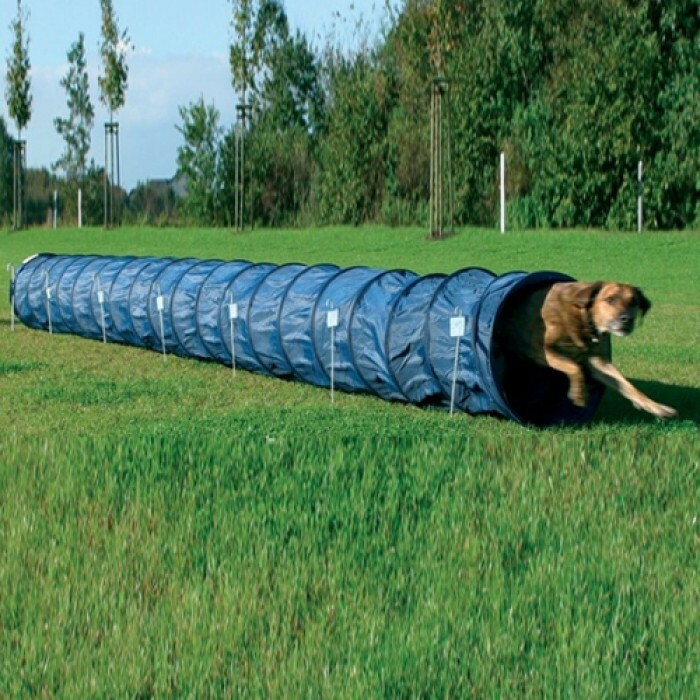 Trixie Agility Tunnel also gives the flexibility to adjust the size of the tunnel for basic to higher level of activities.